VODKA DIARIES, a new comedy pilot created and written by Rachel Hirons, premieres on the BBC iPlayer on Sunday 20th July as part of BBC3’s Comedy Feeds strand. 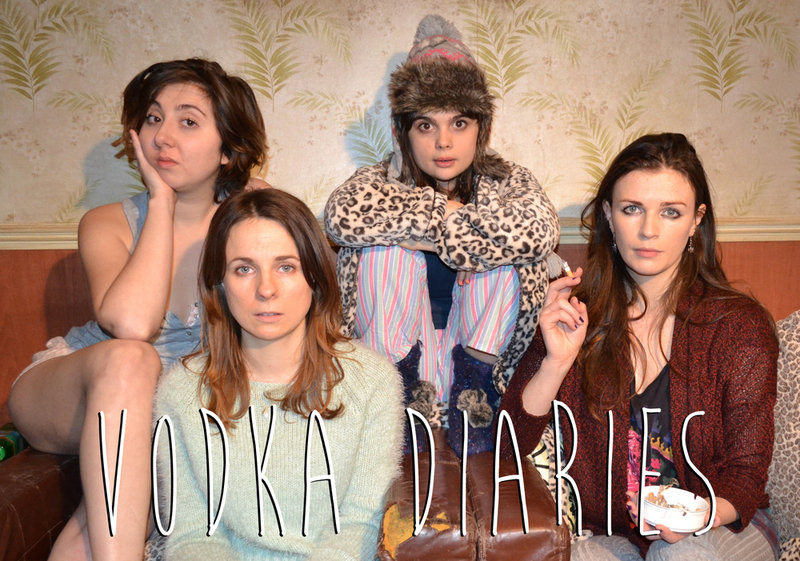 VODKA DIARIES follows the escapades of four twenty-something women thrown together in a London house share. The show stars Cariad Lloyd, Aisling Bea, Rosamund Hanson, Gwyneth Keyworth and Luke McQueen. It was directed by James de Frond and produced by Iona Sweeney for Feelgood Fiction’s executive producers Laurence Bowen and Philip Clarke. Never mind the 'entitled' generation, these girls just want to have fun and ignore their responsibilities until absolutely necessary. If the recession has taught us anything, nothing lasts forever, so why keep trying? Four very different women, four very different perceptions on life, brought together through the love of low rent and drinking ‘til dawn.